The Gerber Crevice fine edge knife model 30-000173 is a great knife to have in your adventure gear. Carry it by the built in caribiner clip or pocket clip. 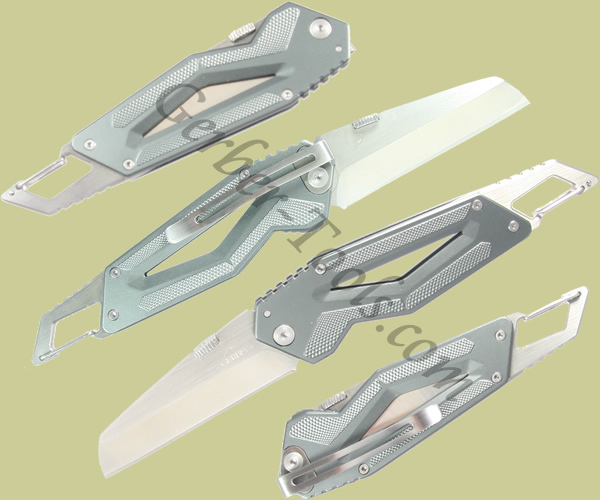 The 3 inch blade is stainless steel. The handle is lightweight aluminum that has texture for increased grip capabilities. The Crevice also has a bottle opener so you can open a beer to toast the end of another great adventure.